Our ladies and guys stainless steel 6oz hip flasks are designed, printed and hand applied in South Carolina. Flasks are wrapped in high quality long, lasting vinyl and guaranteed to please this holiday season. Perfect for stocking stuffers! 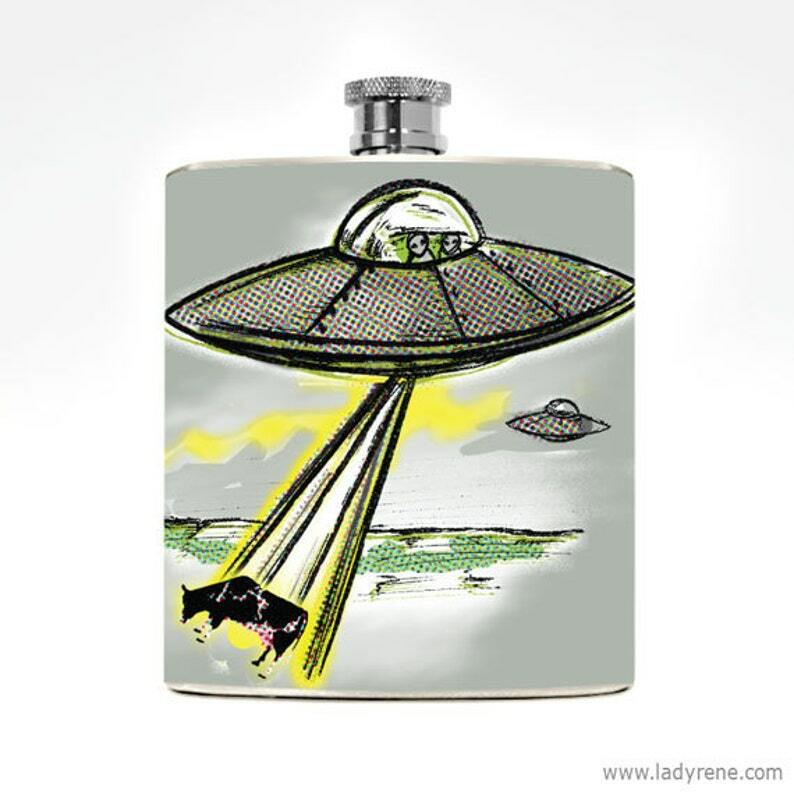 Funny flask gift for the sci-fi, UFO, conspiracy theorist (hey man, that's cool with us). Looking for a humorous drinking gift for your friend or yourself please look no further. It's sure to please.